Alicart Group, LLC; Little Fish Corp.; Carmine's Broadway Feast Inc.; Carmine's of Atlantic City, LLC; Times Square Barbecue, Inc.; Carmine's D.C., LLC owns the trademarks and its logos used within this Web site. Everything you see or read on this Web site is copyrighted and may not be used for anything other than personal and non-commercial use without the prior written permission of Alicart Group, LLC; Little Fish Corp.; Carmine's Broadway Feast Inc.; Carmine's of Atlantic City, LLC; Times Square Barbecue, Inc.; West Side Deli, LLC; Manhattan Specialties, LLC; Alicart Nassau, LLC; and Carmine's D.C., LLC. 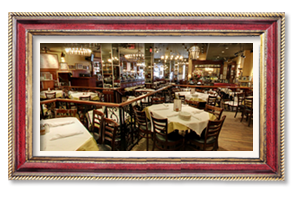 The Copyrights are owned by Alicart Group, LLC; Little Fish Corp.; Carmine's Broadway Feast Inc.; Carmine's of Atlantic City, LLC; Times Square Barbecue, Inc.; West Side Deli, LLC; Manhattan Specialties, LLC; Alicart Nassau, LLC; and Carmine's D.C., LLC. Please note that if you modify or use the materials on this Web site for any purpose other than personal use, you will be violating the intellectual property rights of Alicart Group, LLC; Little Fish Corp.; Carmine's Broadway Feast Inc.; Carmine's of Atlantic City, LLC; Times Square Barbecue, Inc.; West Side Deli, LLC; Manhattan Specialties, LLC; ALicart Nassau, LLC; and Carmine's D.C., LLC. 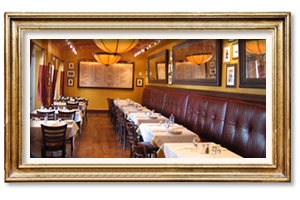 All other intellectual property rights associated with this Web site are the sole and exclusive property of Alicart Group, LLC; Little Fish Corp.; Carmine's Broadway Feast Inc.; Carmine's of Atlantic City, LLC; Times Square Barbecue, Inc.; West Side Deli, LLC; Manhattan Specialties, LLC; Alicart Nassau, LLC; and Carmine's D.C., LLC does not grant you any rights in or to such intellectual property except as expressly provided herein. As a part of our commitment to your privacy, Alicart Group, LLC; Little Fish Corp.; Carmine's Broadway Feast Inc.; Carmine's of Atlantic City, LLC; Times Square Barbecue, Inc.; West Side Deli, LLC; Manhattan Specialties, LLC; Alicart Nassau, LLC; and Carmine's D.C., LLC has agreed to (1) provide customers with notice of their ability to opt out of their personal information being rented, sold or exchanged with other marketers; (2) honor customers' requests not to share their information with other marketers; and (3) honor customers' requests not to receive mail, telephone or other solicitations from Alicart Group, LLC; Little Fish Corp.; Carmine's Broadway Feast Inc.; Carmine's of Atlantic City, LLC; Times Square Barbecue, Inc.; West Side Deli, LLC; Manhattan Specialties, LLC; Alicart Nassau, LLC; and Carmine's D.C., LLC. 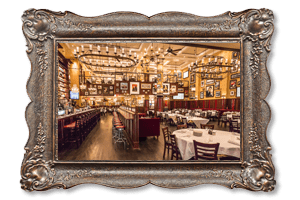 What Personal Information About Customers Does Alicart Group, LLC; Little Fish Corp.; Carmine's Broadway Feast Inc.; Carmine's of Atlantic City, LLC; Times Square Barbecue, Inc.; West Side Deli, LLC; Manhattan Specialties, LLC; Alicart Nassau, LLC; and Carmine's D.C., LLC. Gather? The information we learn from customers helps us personalize and continually improve your shopping experience at Alicart.com, Carminesnyc.com, Virgilsbbq.com. Here are the types of information we gather. Information You Give Us: We receive and store some information you enter on our Web site or give us in any other way. You can choose not to provide certain information, but then you might not be able to take advantage of many of our features. We use the information that you provide for such purposes as responding to your requests, customizing future shopping for you, improving our stores, and communicating with you. Automatic Information: We receive and store certain types of information whenever you interact with us. For example, like many Web sites, we use "cookies," and we obtain certain types of information when your Web browser accesses Alicart.com, Carminesnyc.com, Virgilsbbq.com. E-mail Communications: To help us make e-mails more useful and interesting, we often receive a confirmation when you open e-mail from Alicart.com, Carminesnyc.com, Virgilsbbq.com, if your computer supports such capabilities. If you do not want to receive e-mail or other mail from us, please adjust your Preferences. Does Alicart Group, LLC; Little Fish Corp.; Carmine's Broadway Feast Inc.; Carmine's of Atlantic City, LLC; Times Square Barbecue, Inc.; West Side Deli, LLC; Manhattan Specialties, LLC; Alicart Nassau, LLC; and Carmine's D.C., LLC Share the Information It Receives? We use the personally identifiable information you provide for internal purposes, such as confirming and tracking your order, registration, analyzing trends and statistics, informing you of our new products, services and offers, and providing you with information from and about Alicart Group, LLC; Little Fish Corp.; Carmine's Broadway Feast Inc.; Carmine's of Atlantic City, LLC; Times Square Barbecue, Inc.; West Side Deli, LLC; Manhattan Specialties, LLC; Alicart Nassau, LLC; and Carmine's D.C., LLC. From time to time we might establish a business relationship with other persons or entities whom we believe trustworthy and whom we have asked to confirm that their privacy policies are consistent with ours. In such cases we might share and cross-reference information, including personally identifiable information about you that will enable such persons or entities to contact you regarding products and services that may be of interest to you. Protection of Alicart Group, LLC; Little Fish Corp.; Carmine's Broadway Feast Inc.; Carmine's of Atlantic City, LLC; Times Square Barbecue, Inc.; West Side Deli, LLC; Manhattan Specialties, LLC; Alicart Nassau, LLC; Carmine's D.C., LLC and Others: We release account and other personal information when we believe release is appropriate to comply with the law; or protect the rights, property, or safety of Alicart Group, LLC; Little Fish Corp.; Carmine's Broadway Feast Inc.; Carmine's of Atlantic City, LLC; Times Square Barbecue, Inc.; West Side Deli, LLC; Manhattan Specialties, LLC; ALicart Nassau, LLC; and Carmine's D.C., LLC our users, or others. This includes exchanging information with other companies and organizations for fraud protection and credit risk reduction. Obviously, however, this does not include selling, renting, sharing, or otherwise disclosing personally identifiable information from customers for commercial purposes in violation of the commitments set forth in this Privacy Notice. We transmit your credit card number to the appropriate credit card company during order processing and are PCI compliant. Alicart.com, Carminesnyc.com, Virgilsbbq.com, does not sell products for purchase by children. If you are under 18, you may use Alicart.com, Carminesnyc.com, Virgilsbbq.com, only with the involvement of a parent or guardian. If you choose to visit Alicart.com, Carminesnyc.com, Virgilsbbq.com, your visit and any dispute over privacy is subject to this Notice, including limitations of damages, arbitration of disputes, and application of the law in New York State. If you have any concern about privacy at Alicart Group, LLC; Little Fish Corp.; Carmine's Broadway Feast Inc.; Carmine's of Atlantic City, LLC; Times Square Barbecue, Inc.; West Side Deli, LLC; Manhattan Specialties, LLC; Alicart Nassau, LLC; and Carmine's D.C., LLC please contact us and give us a thorough description, and we will try to resolve it. Examples of information we receive from other sources include updated delivery and address information from our carriers or other third parties, which we use to correct our records and deliver your next purchase or communication more easily; account information, purchase or redemption information, and page-view information from some merchants with which we operate co-branded businesses or for which we provide technical, fulfillment, advertising, or other services; search term and search result information from some searches conducted through the Web search features offered by our subsidiary; search results and links, including paid listings (such as Sponsored Links from Google).